Today is the first day of 12 Days of DIY! This month I have 12 DIY projects that I will be posting on my blog, most of these Do It Yourself projects are either Christmas related (like decor) or would make a great Christmas gift for somebody. 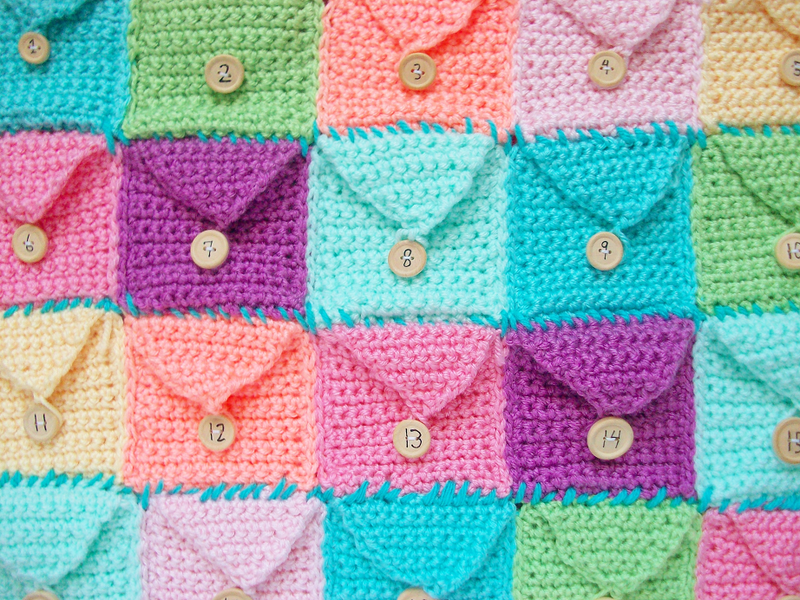 Not all of the DIY projects will be crochet related but most are (because I love posting crochet patterns). 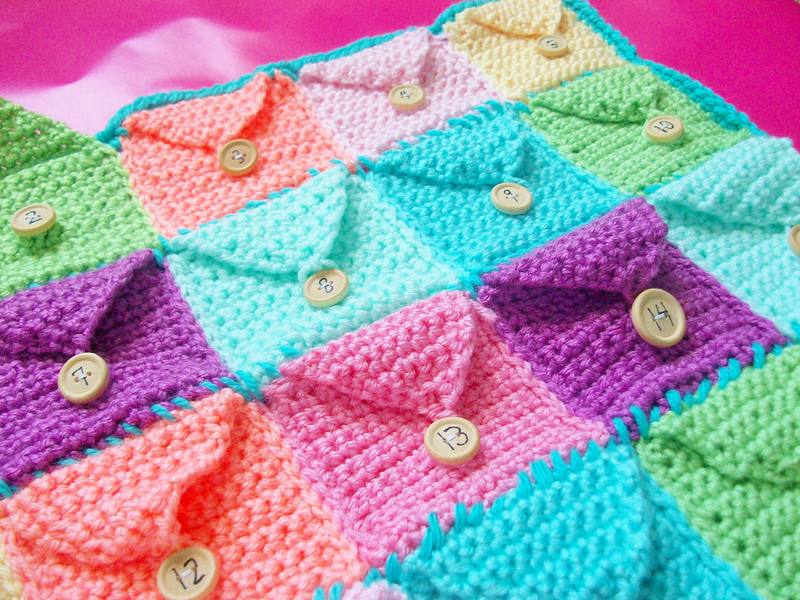 I am so excited to share my projects with you all starting with this first DIY, the crochet advent calendar! The first 12 Days of DIY project was inspired by a gift I received last year from my sister. 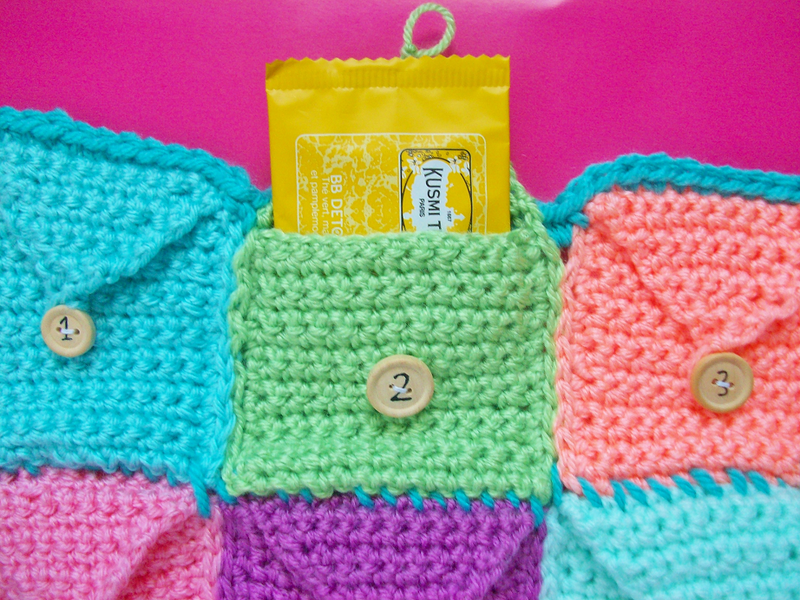 She knitted me a mini tea bag cozy so I decided to make my own crochet version of the tea cozy she made me and make 24 more to make a tea advent calendar. You can put whatever you want inside the calendar it doesn't have to be the tea you can use whatever you want. Originally I wanted to post this pattern in November but life got in the way and I wasn't done with it so I decided to make it one of my 12 Days of DIY projects instead. By the way, I didn't even notice that I put 17 before 16 until now! But I changed the buttons now so the numbers are where they're supposed to be now. Make sure you don't make the same mistake as me! 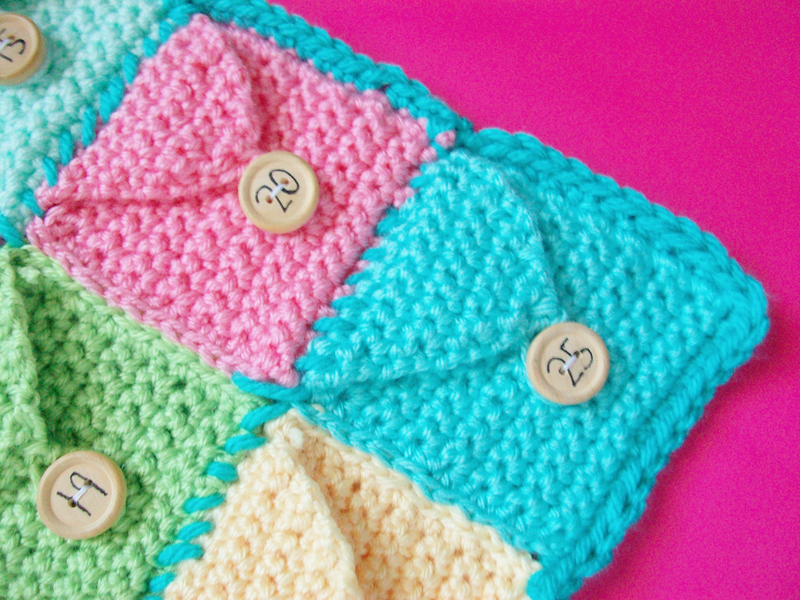 - Thicker yarn and a larger hook that works with your thick yarn. *This project does take a long time to make so if you plan to make this in time for a Christmas/holiday party I would recommend you to start right away! *If something doesn't seem right let me know and I will fix the pattern. Fold your work in half and start working 13-14 sc sts on the left side, this will quickly sew the side for you without using a needle! 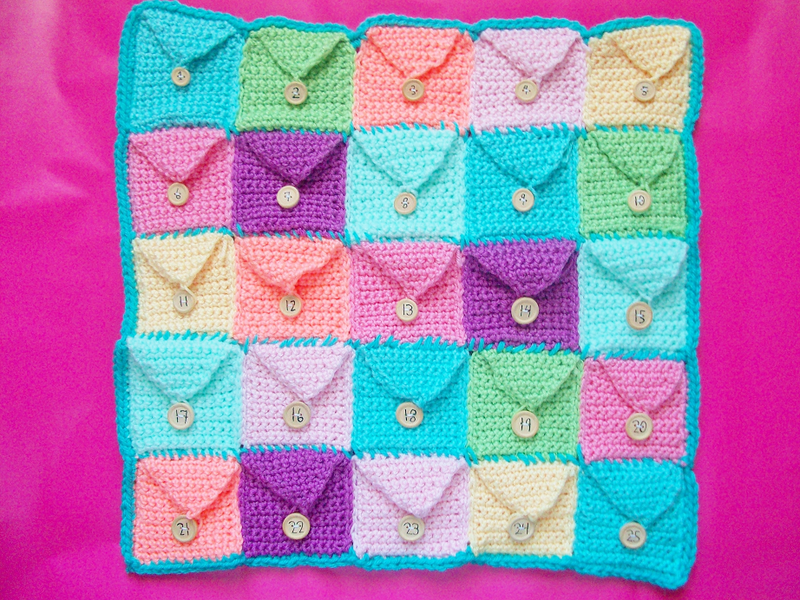 Insert your hook to the bottom of the right side of your cozy and sc 13-14 sts. When you reach the top of the right side you are going to work into your 12 sts again. - Dec the last sts. Cut off leaving enough yarn to make a loop for the buttons. Now make 24 more cozies! Time for the annoying part, sewing! You are going to sew a lot so get ready! First thing I started sewing was the buttons, which by the way I made my buttons myself by writing the numbers on with a pen because I couldn't find any buttons with numbers on them but if you can find some go ahead and use those. 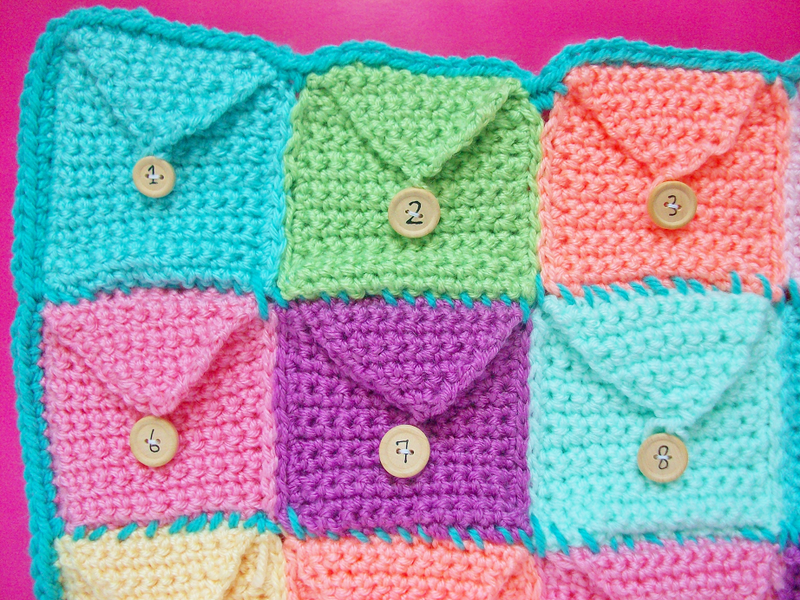 Next sew all the cozies next to each other, 5 cozies per row you make a total of 5 rows. 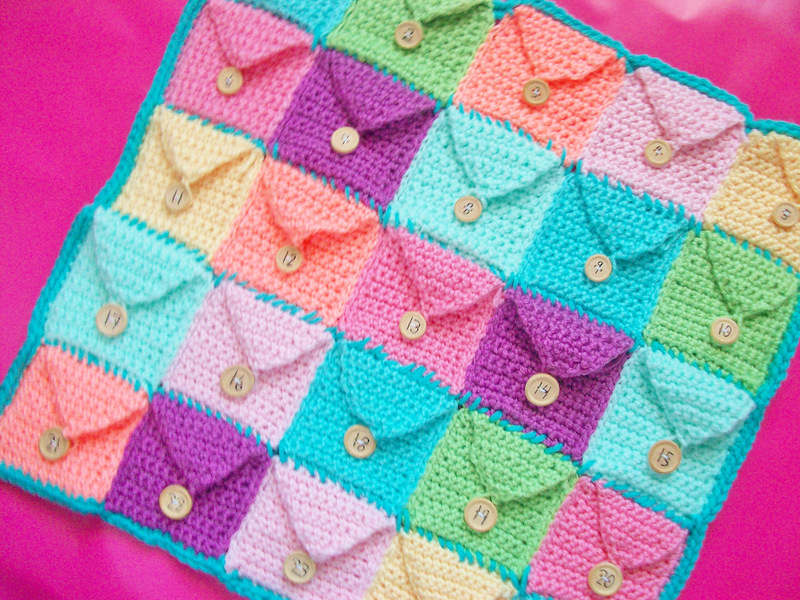 Lastly, sew a border around your advent calendar. I used a thicker yarn and bigger crochet hook. I used the same thick yarn to sew the rows together. You can also use this thick yarn to make a strap to hang your calendar and you are finally done! Now the waiting game begins! Who's excited for the 12 days of diy? Omg, this is seaux farkin' rockin'. Love Love Love this. Great colors too!